My name is Karim Khan and I am from Hyderabad. I run a courier agency with Poonam Couriers and I earn around Rs.10,000 a month. My son is suffering from decompensated cirrhosis for the liver and needs an early liver transplant to save his life. The cost of a Liver Transplant in Dhirubai Ambani Hospital is Rs 24 lakhs. With an additional expense of Rs.1.5 lakhs for a test, to evaluate the patient and donor before transplant, also required. I kindly request you to come forward and help us with any amount possible from your end. We will be grateful to have your support. Please share this in your circle and help reach the kindhearted people. Please 1) share this story on Facebook, 2) Tweet about this story & 3) Mobile users can also share this story on WhatsApp. Your share could be as good as a donation for Shahrukh Karim Khan! Not everyone can afford to take care of their loved ones. 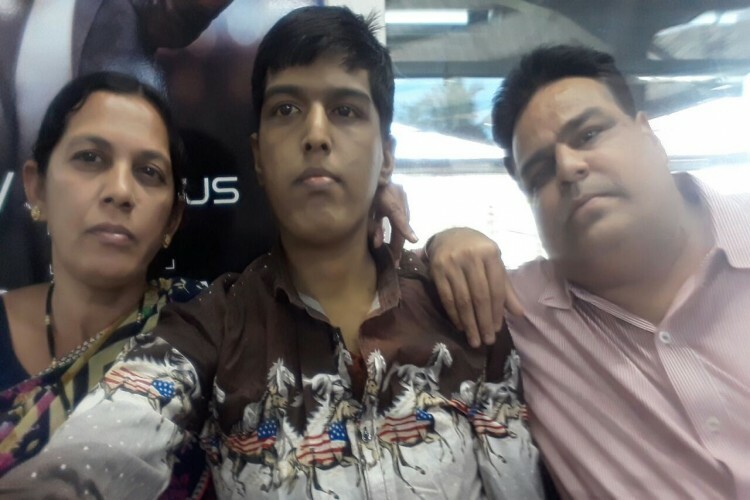 Shahrukh Karim Khan's life can only be saved by donations made by kind people like you.